On the 18th July 2012, The Minister of Higher Education formally invited the Board of Directors of Fairview International School (FIS) to submit an application to establish a private higher education institution with university college status. This was based on Fairview’s experience and expertise in running the IB approach in teaching and learning in Malaysia. On 21st Aug 2013 Fairview formally received agreement from IBO for the IBEC award for the impending UCF’s programmes. On the 21st Oct 2015 UCF was formally established with MOHE as University College Fairview (UCF). On 3rd Feb 2017 MOHE formally registered the Subang Campus for University College Fairview. act as our Teaching & Learning Research Partner, allowing UCF to achieve its goal to help train teachers in accordance with International Teacher Regulatory Bodies. UCF prides itself as more than just another university college for it is established along with the Fairview network of IB world schools throughout the Asia Pacific region. The Fairview IB World Schools serve as the school of apprenticeship, wherein the student teachers will spend a substantial portion of their time in the classrooms under the guidance of their mentors, instructors and specialist teachers. The Integrated Curriculum training programme at UCF aims to holistically combine lectures and classroom practical training. The Fairview International school network system also provides relevant areas for research especially for longitudinal studies on classroom pedagogy, curriculum development, best teaching practices, educational psychology, cross-cultural and inter-cultural studies, leadership co-curriculum and other educational-related research focus. Research results from these studies in authentic classrooms can benefit both local and international researchers and the education field. UCF intends to share knowledge gained through research at seminars and conferences and through publications in local and international journals as part of the effort for world recognition. With the expansion and the experience gained, UCF intends to help the nation to be recognised as a hub for excellent education and eventually help export the Malaysian brand of education abroad. Former Senior Special Grade Professor at Unveristy of Malaya and has served the University for more than 32 Years. University College Fairview was founded based on the philosophy of ‘praxis’ in teaching and learning, and in particular, focusing on developing a dynamic group of highly-trained IB teachers for the Asia Pacific region and the world. The degrees awarded are recognized world-wide. The IB trained educators are exposed to teaching in IB environments (e.g. 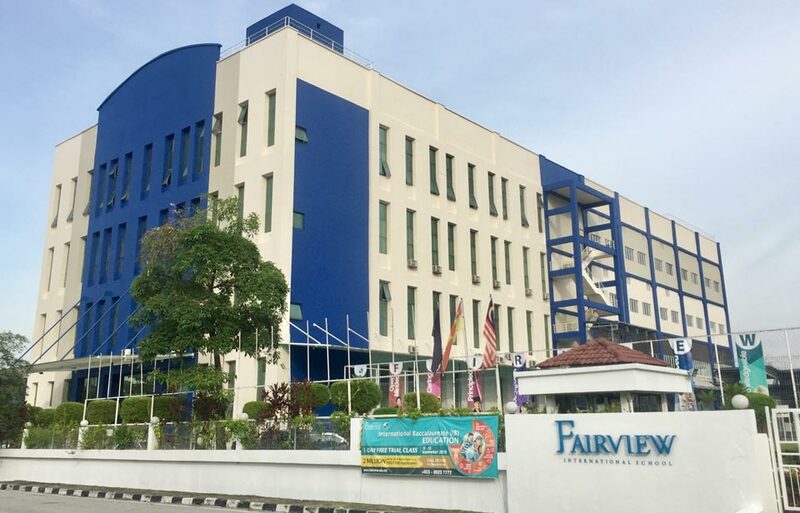 Fairview International IB schools). There is a clear accessible pathway for future professional development from postgraduate to doctoral levels of education. UCF graduates possess an extra edge in terms of high job prospects in IB international schools worldwide. No matter where one pursues one’s career, the aim is to acquire the best virtues of IB education. With an education at UCF, educators are exposed to the exclusive academic praxis nationally and internationally as part of the preparation for developing internationally-minded students for the 21st century and beyond. 31st July 2012 The Director General of Ministry of Education (MOHE) formally invited to submit application for establishment and provides documentation required and conditions to be complied. Trial run of Fairview Post Graduate Diploma in Education incorporating IB modules for APEL.